As a grandmother and child psychology professional, I find this book very comforting for children as well as for my elder age friends. The book is heart-warming, fluent, with beautiful pictures that match the story and add to it. The special grandfather passes his wisdom to his wise grand-daughter. She absorbs them and decides to be a kind human being treating everybody with respect and love. The core of the story is how to cope with a loss; Zoey Hess found the best way and conveys it to us. I wish her success because she deserves it. I believe that this will indeed happen. This is truly a wonderful book for all ages and faiths. Zoey has captured the essence of "love never dying", and how we can continue to embrace our loved ones through prayer and memories. Therapists and counselors, this is a must have resource for children of all ages and religious backgrounds who are dealing with the loss of a loved one. Zoey Hess has written a beautiful story about the power of love and everlasting connection. Equally as powerful is Zoey’s personal story of a child who turned grief into positive action providing hope for herself and others. This book is definitely worth adding to your collections of materials to support children through grief. What a sweet and personal way of expressing her deep feelings for her grandfather. It is sure to soothe others at a very difficult time. Zoey has given a true gift to the world with her book. 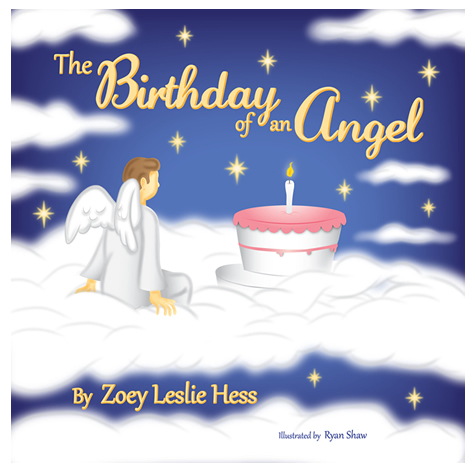 Children and the adults who read with them will be touched by Zoey's sweet story and the inspiring message that we can continue our relationship with those that pass in a different, but meaningful and special way.